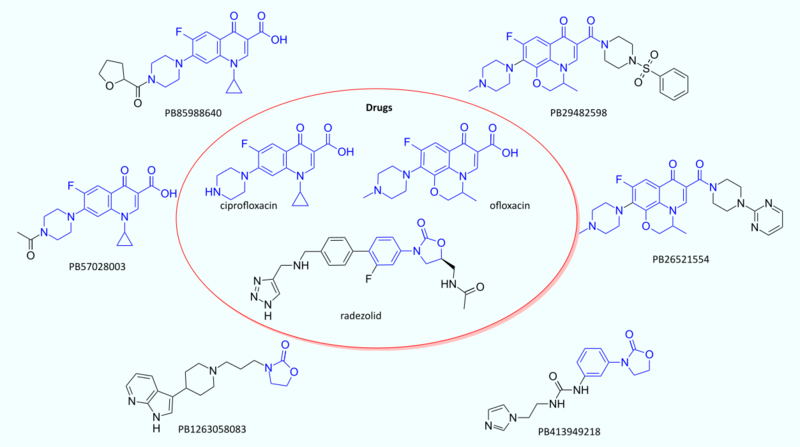 A remained need for starting points to novel antibacterial drugs motivated us to create UORSY antibacterial library. UORSY antibacterial library is available in stock and could be delivered within 2 weeks in any customer-preferred format: as powders, dry films or DMSO solutions formatted in vials, 96 or 384-well plates. All compounds have a minimum purity of 90% assessed by 1H NMR; analytical data is provided. 1 Cynthia C. Knapp and John A. Washington, Antimicrob Agents Chemother, 1986, 30(6), 938-939. 2 O'Shea R, Moser HE, J Med Chem, 2008, 51(10), 871-878.